A brightening facial oil that improves overall skin tone. Ideal for reducing the appearance of sun damage, pigmentation, age spots and also hydrates skin. 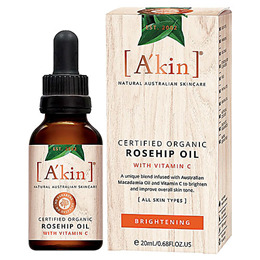 Improve your skin`s overall tone and texture with the wonders of Rosehip Oil combined with the brightening powers of Vitamin C.
+organic, *cold pressed, ^CO2 extracted. Apply 3-4 drops on your fingertips & gently massage onto your face & neck after cleansing and before moisturising. Suitable for all skin types, even oily with the lightweight texture. 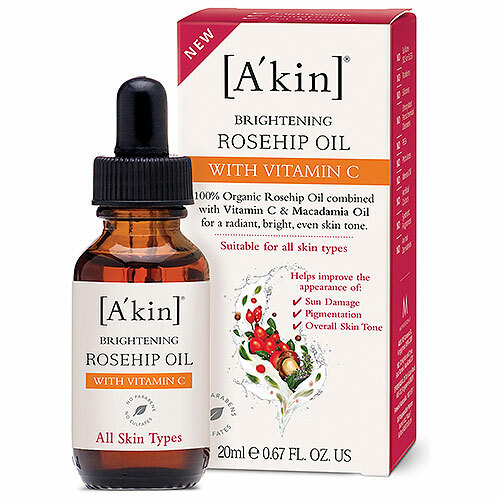 Below are reviews of A kin Brightening Organic Rosehip Oil with Vitamin C - 20ml by bodykind customers. If you have tried this product we'd love to hear what you think so please leave a review.